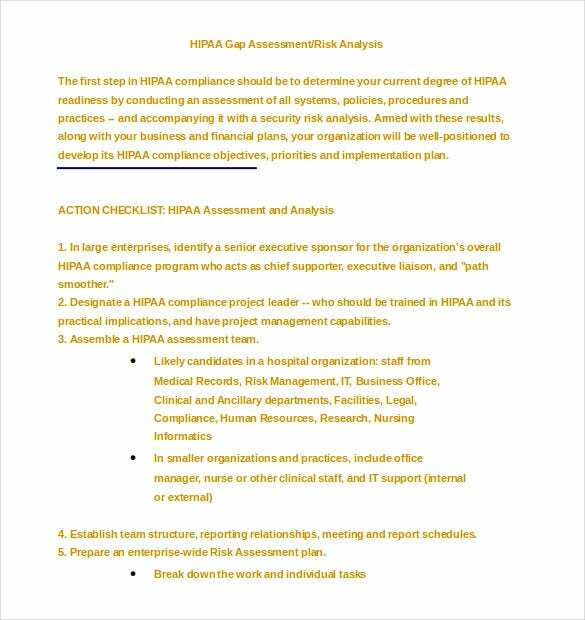 Gap Analysis is the comparison of actual performance with potential or desired performance. 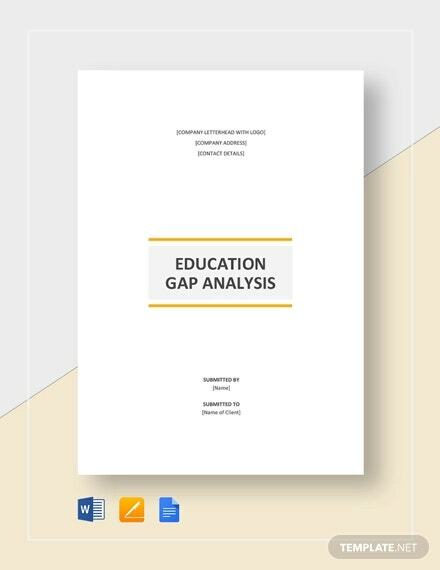 Our free Gap Analysis Templates in Word format helps to spot the disparity between the optimized allocation and the present level of allocation of resources. 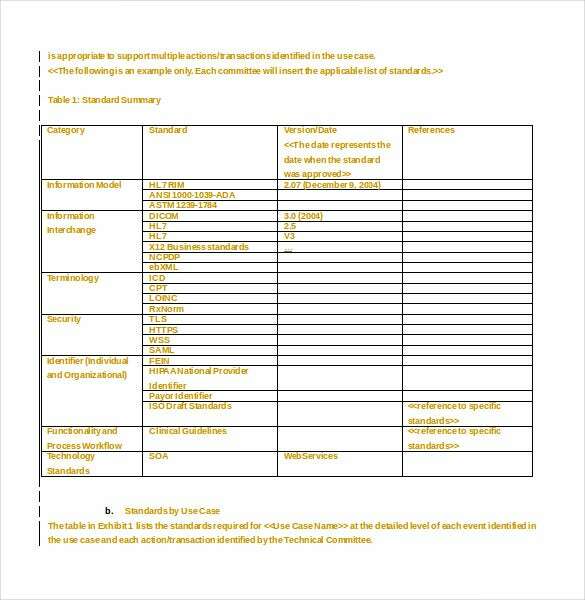 Therefore these sample templates available in Word 2010 help to expose areas that need improvement. 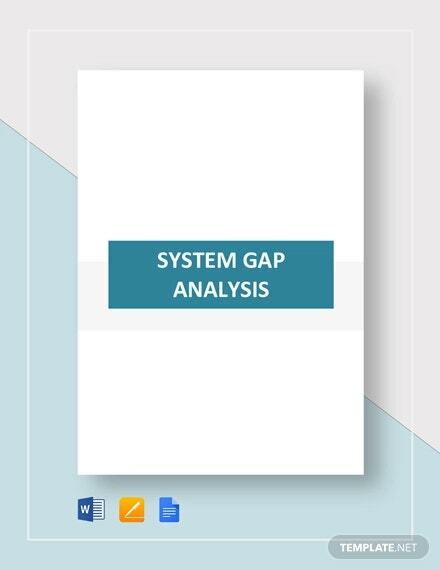 Our downloadable Gap Analysis Templates are used by business organizations to study their present status and determine where they want to reach in future. These can also be used by students, employees or any individual to asses and improve his/her personal performance levels. 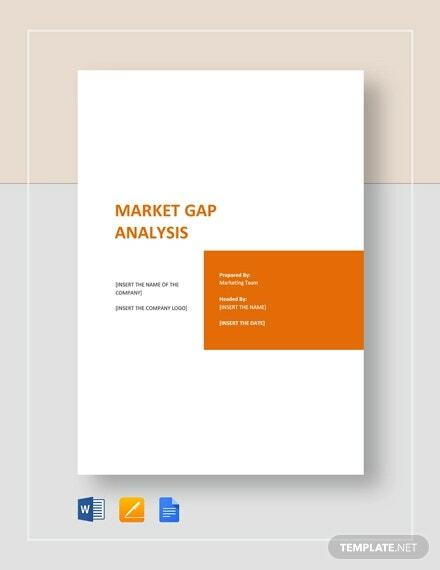 Gap Analysis Templates in MS Word is available for free download and use to improve performance by analyzing gaps between the present results and the desired results and develop strategies to bridge this gap. 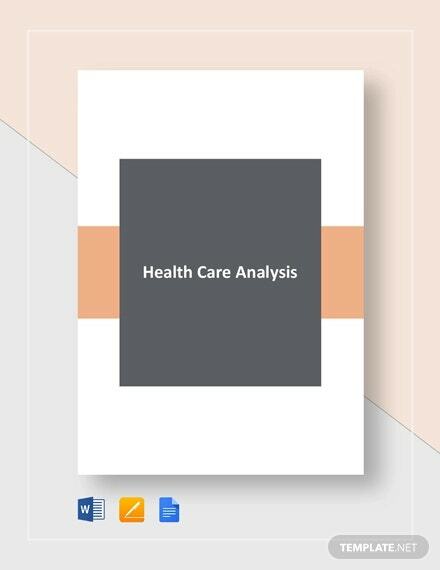 Gap Analysis Templates in Word file can also be used to compare the various processes that can be undertaken to perform the same task. 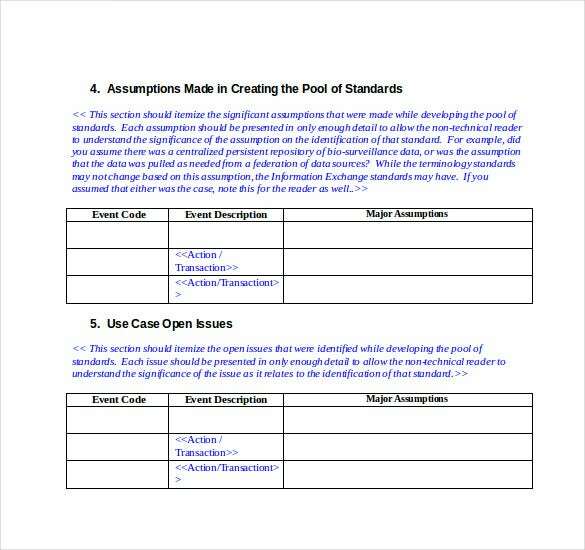 These templates evaluate each process alongside and in details and then records the differences. 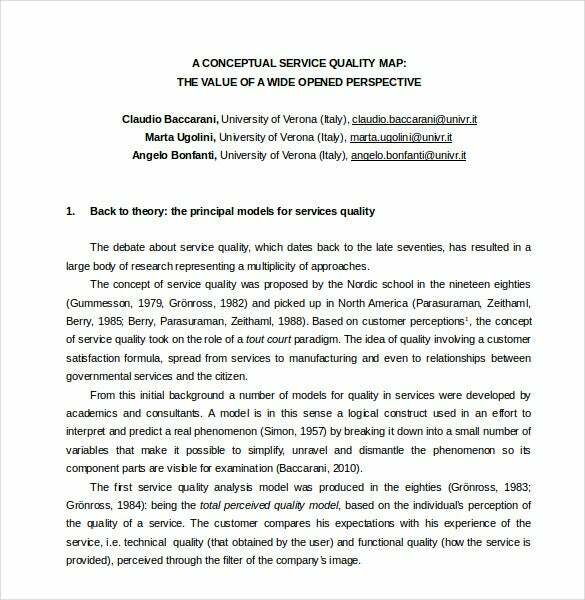 They then help to analyze deviations to determine if their current process should be substituted by an alternate process to produce better results and gain benefits. 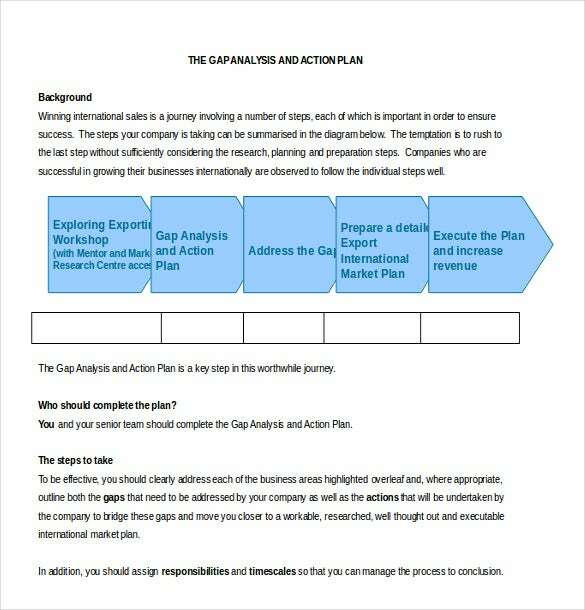 You may also see Sample Business Gap Analysis Templates. 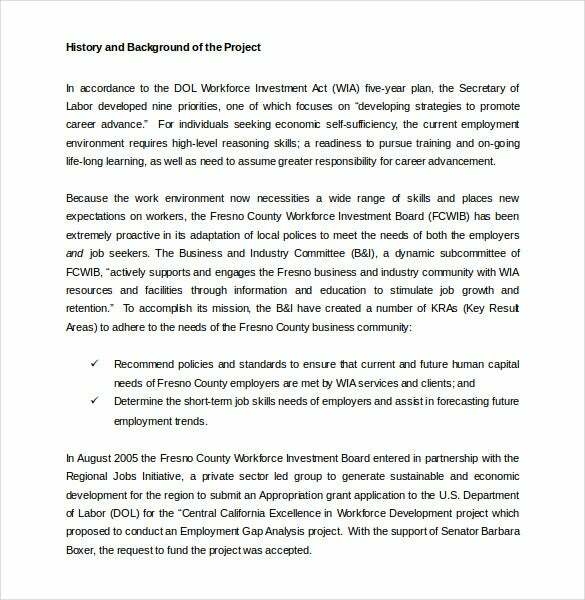 The first step in word document Gap Analysis Templates is description and identification of the existing and desired future states. Identification of whether a gap exists between the current and future states. 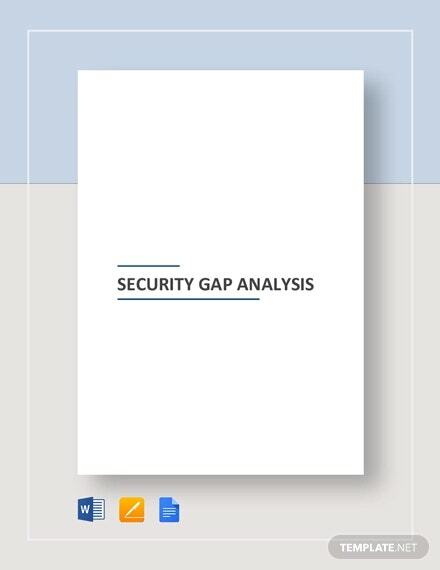 If a gap is observed, it is described including the areas and degree of disparity. 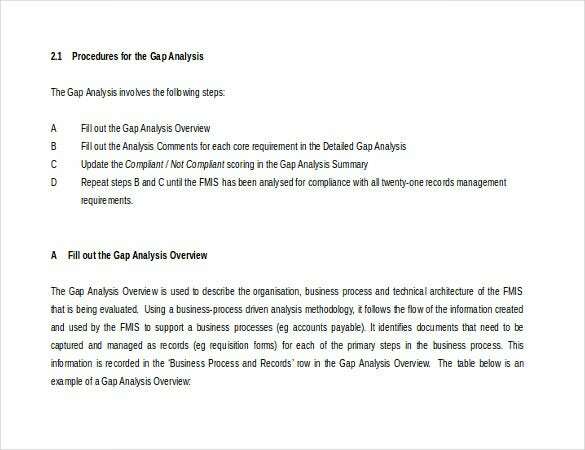 The Gap Analysis Templates contain an objective and relevant list including all the factors responsible for the gap. 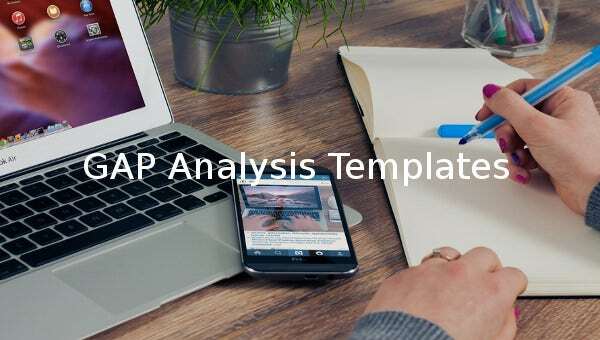 The last element in the Gap Analysis Templates is action oriented and specific remedies for bridging the gap between the present and desired state. Flow Charts are one of the best tools to track procedures. 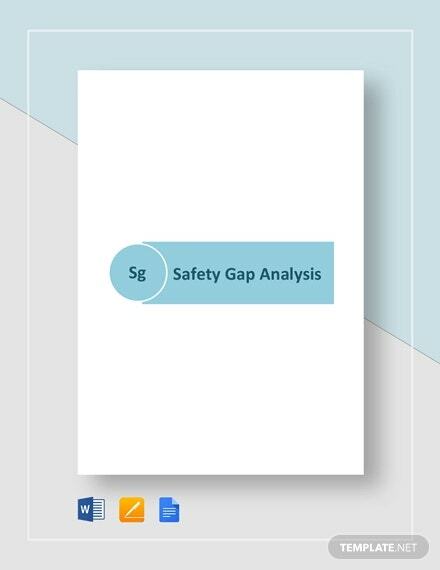 Therefore, download our visually stimulating Gap Analysis Templates created in Flow Charts by first assembling the required data. 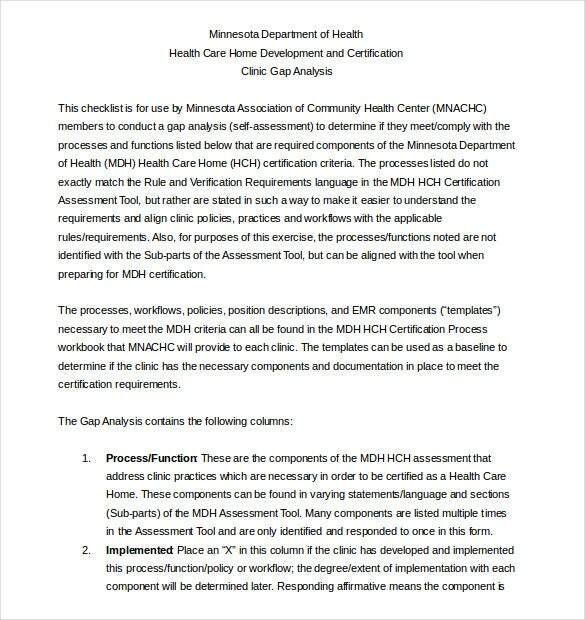 The data collected is then presented in Flow Charts by using the first process symbol in Word’s shape gallery. Sometimes, the alternate process symbol is also used to group both sets of data in one place. 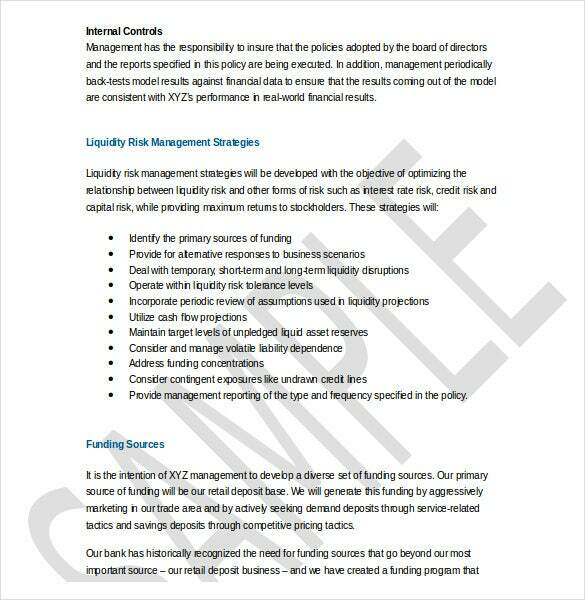 You may also see Sample Policy Gap Analysis Templates. 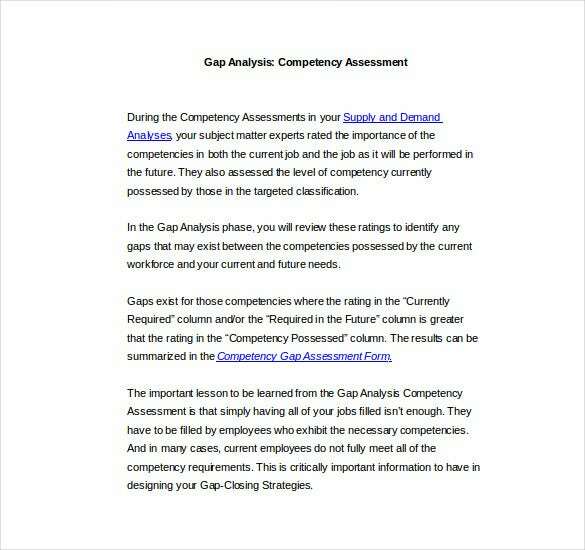 Use red color to indicate the existence of a gap and green or blue color for absence. This will help to attract a person’s attention on the focal point and will be easier to comprehend. 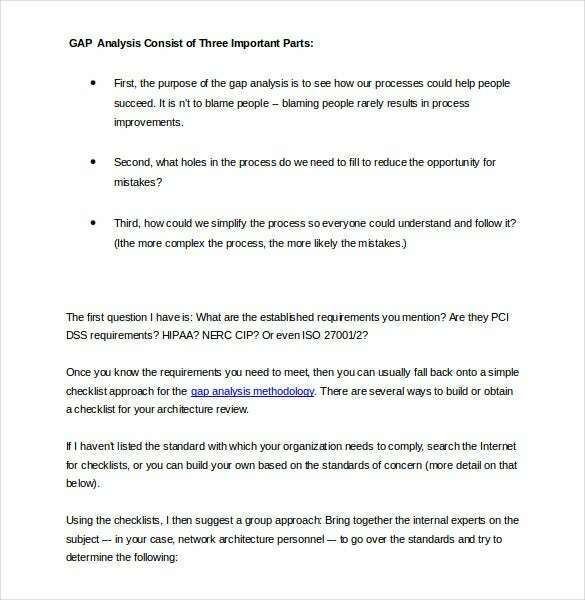 While creating the Gap Analysis Templates for Word, if you realize that the set goals are too unrealistic, revise them to make the goals more significant and relevant. 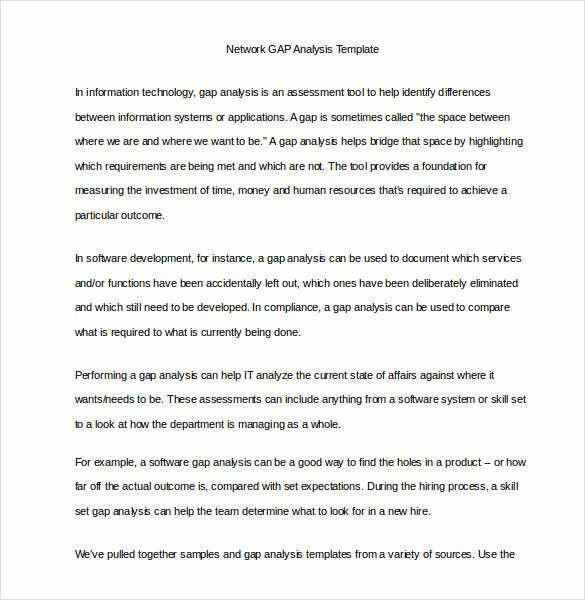 Add links or attachments with details of all the files or sources that were referred to for creating Gap Analysis Templates in a Tab Supporting Documents.